Think of your wedding day. Whether it’s in the past or coming up in the future, it’s a day to remember for years to come. It’s a picturesque time filled with happiness and loved ones as you celebrate matrimony, love and friendship. No doubt you’ll want cherish those memories for as long as you live. 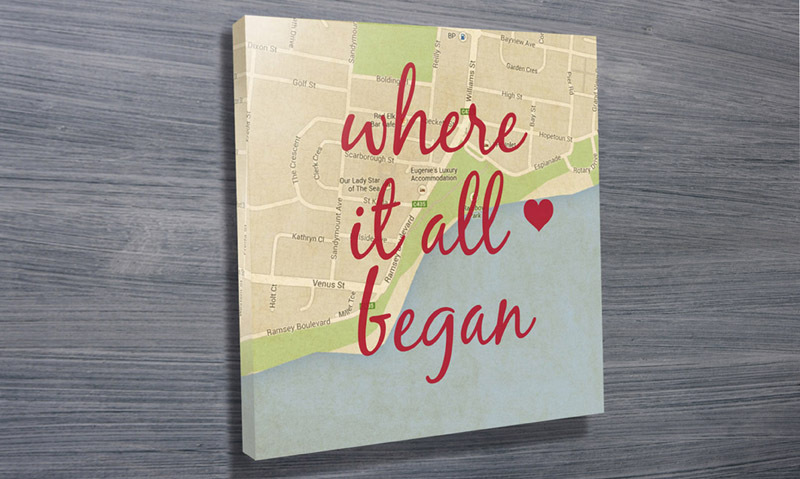 And now you can, with a stunning typographic for your home. 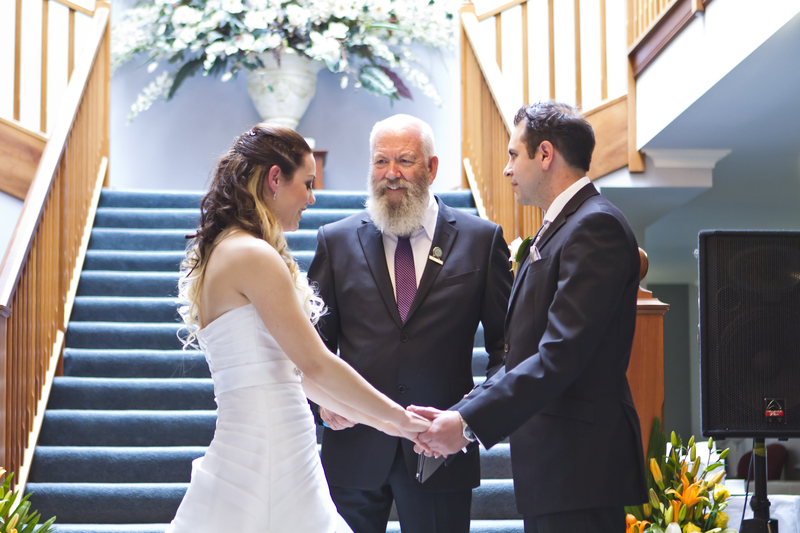 What words come to mind when you think of your wedding day? Two hearts, passion, soul mates, faith, love, friendship. We take all of the words that mean the most to you and put them together into the shape of a heart, surrounding you and your loved one’s name. With countless colours available, we have what you need to complete your day. Each word is elegantly written in the font of your choice. 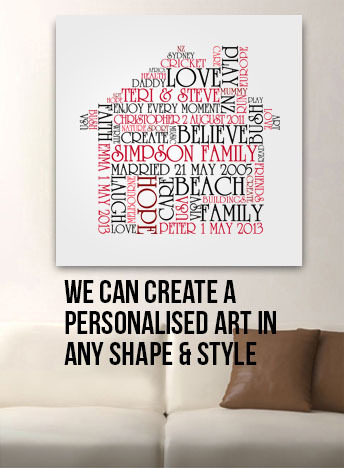 You decide on everything from the colour of the font to the background colou r.
Adding words or phrases exclusive to you and your loved one truly makes this beautiful piece of art yours. 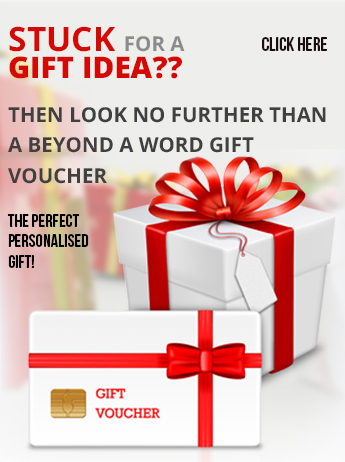 If you have some words you’d like special emphasis on, we can take care of that. We’ll delicately draw more attention to these words, as they’re important to you and your day. This could be anything from special vacations or places, sayings, or the date of the big day. Each word is a symbol of your love. 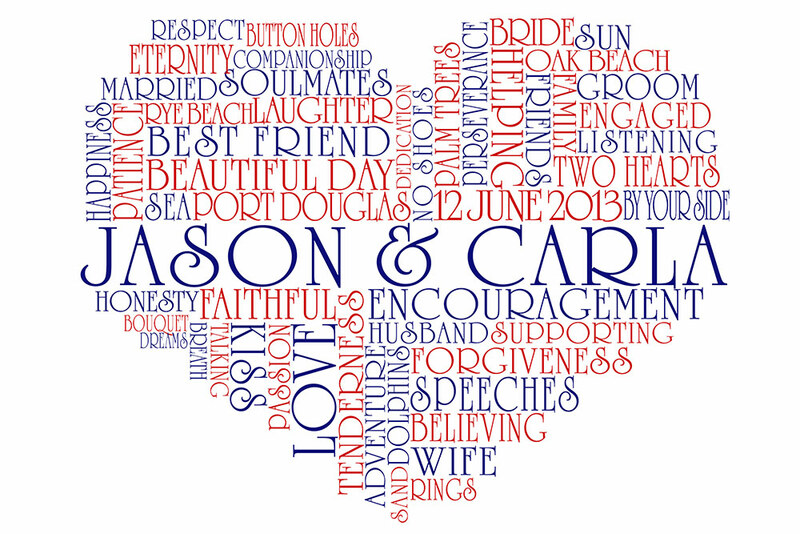 With expert design skills, we creatively showcase each and every phrase, as they all come together into the wedding heart typographic. 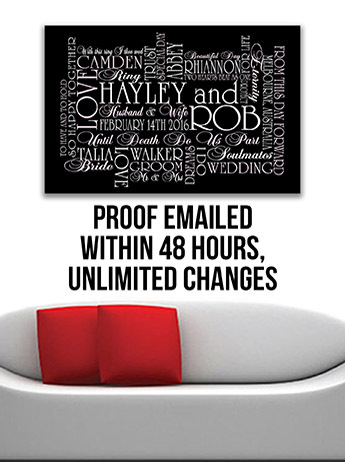 Our beloved heart typographics are also a great gift for that tough couple that has everything. After all, it’s a reminder of one of the greatest days in their entire lives, and a thoughtful way to show the love and excitement you have for them! It’s the perfect ending to your beginning.